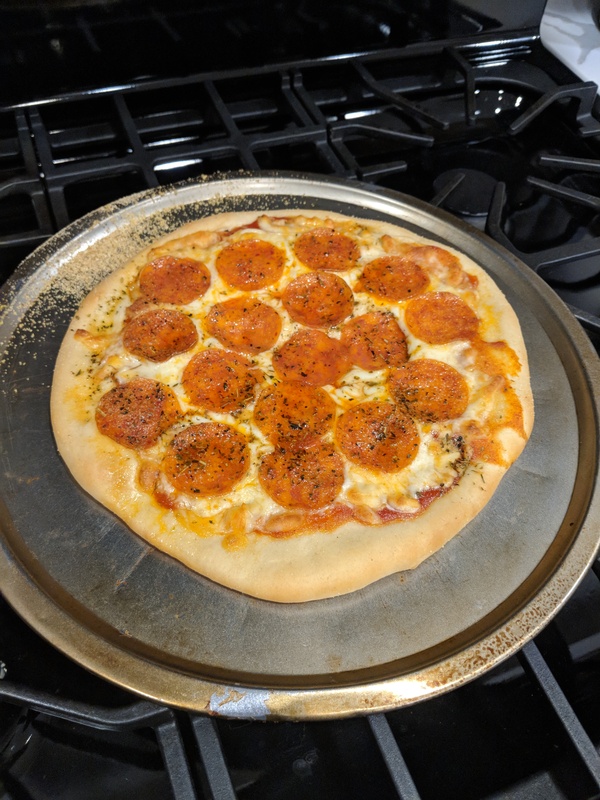 Pizza is one of my favorite things to eat and nothing beats homemade pizza. 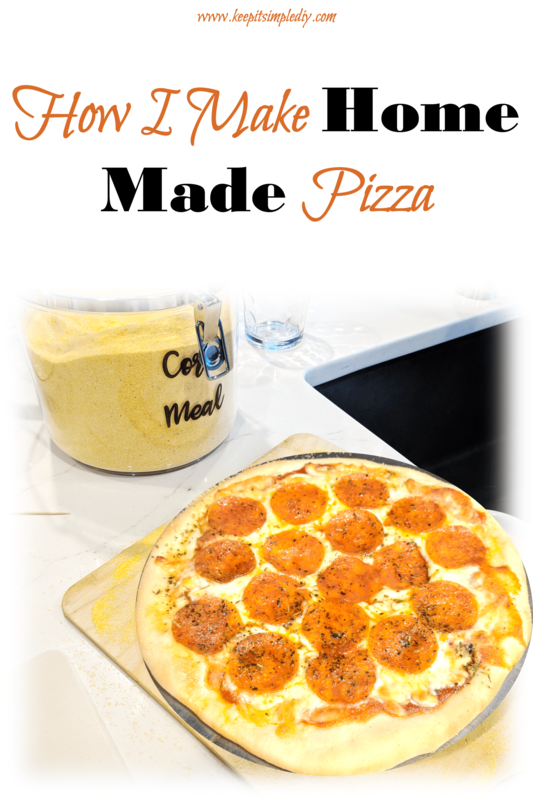 I make my pizza completely from scratch and it is just amazing! It’s so amazing that we keep it in the house all the time even though Nick works at a pizza restaurant! 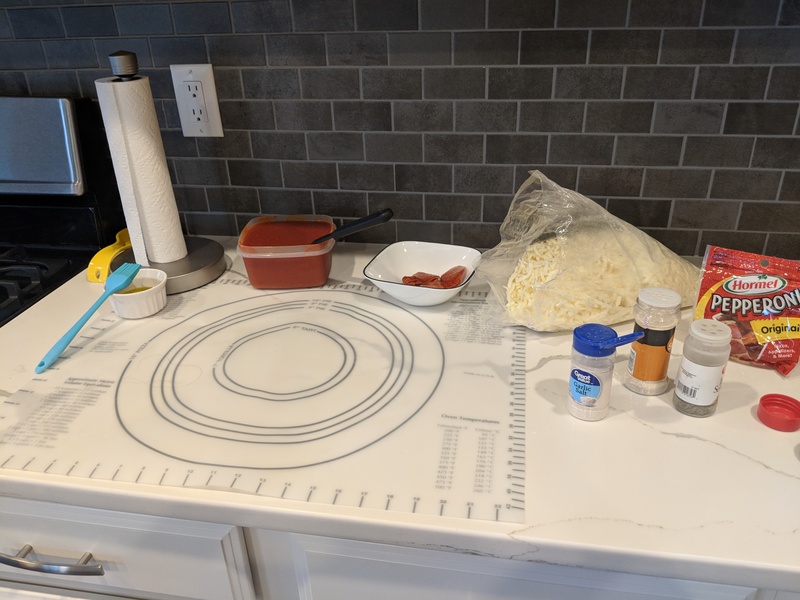 Here’s how I make my pizza. I like to make a bunch at a time and then freeze it too! 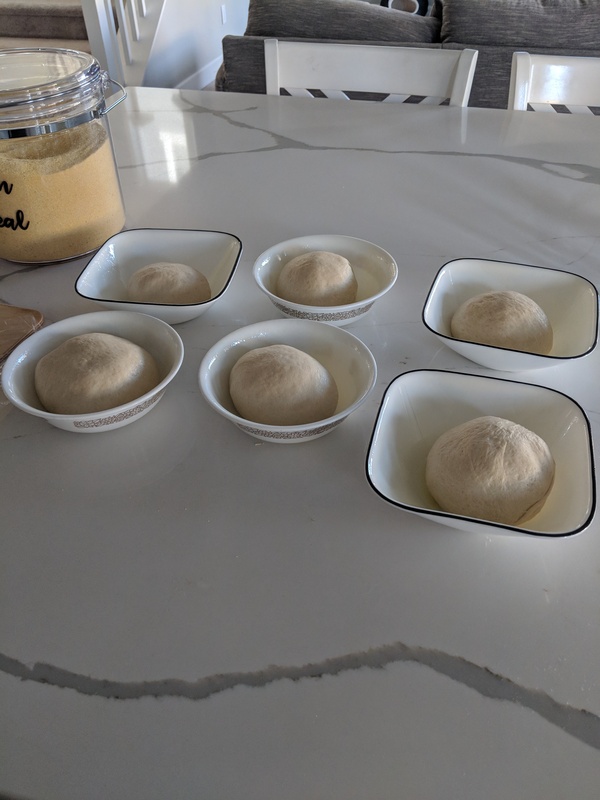 I start by mixing the dough and letting it rise. 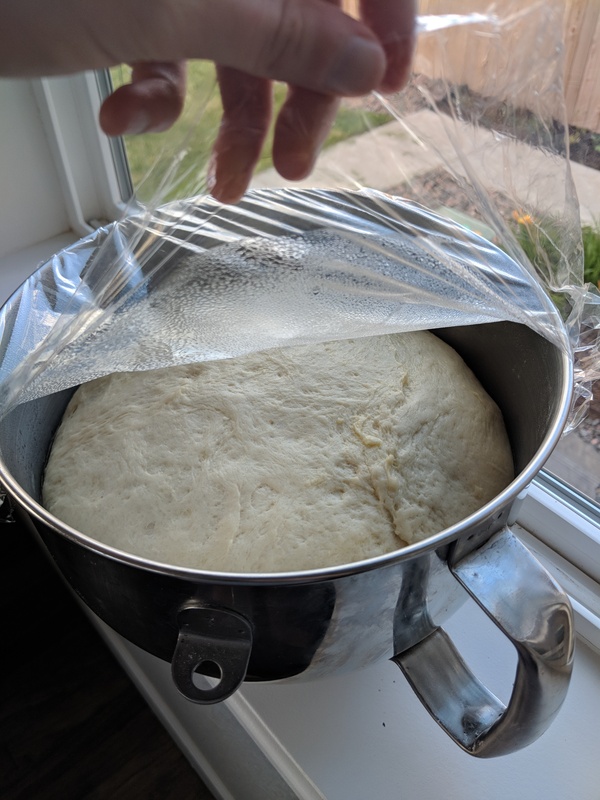 I use the Laura in the Kitchen pizza dough recipe. I’ve tried quite a few and this is the one I like the best. 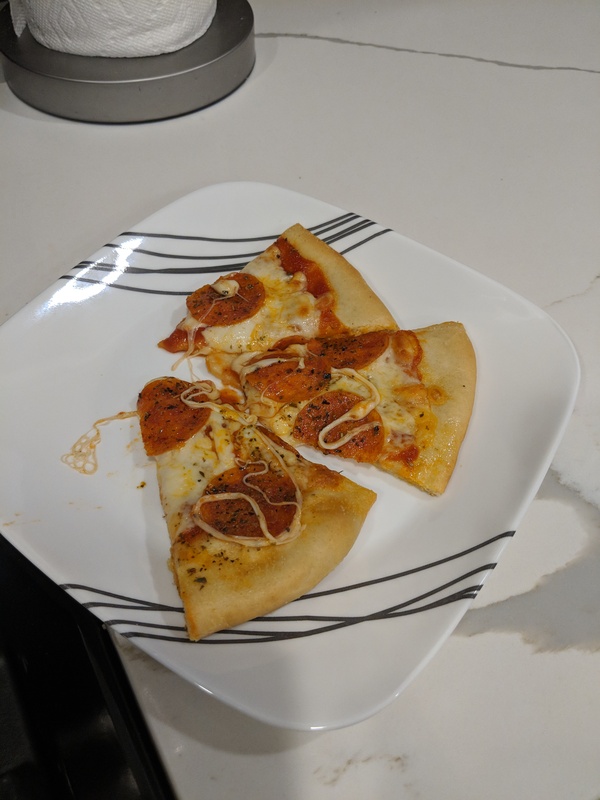 She makes two pizzas out of one recipe. I usually double the recipe then use it to make a total of 6 thinner pizzas. 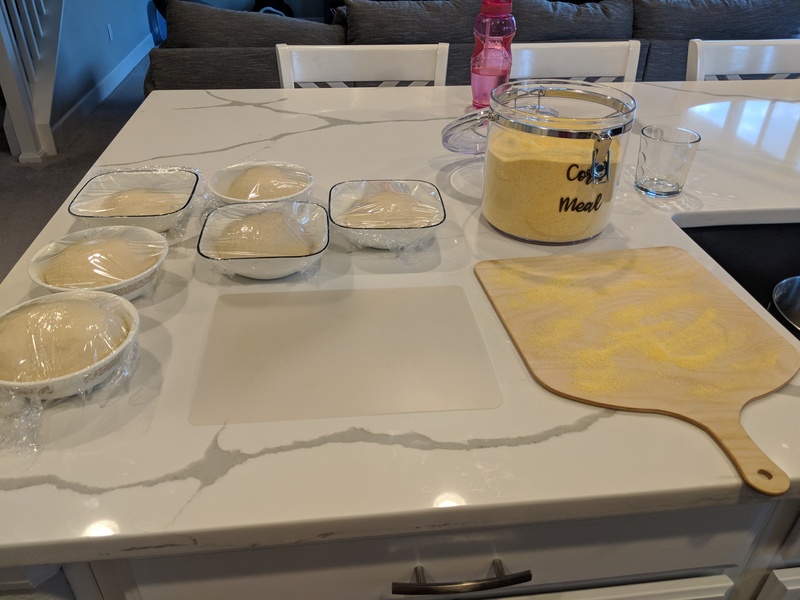 One station is for prepping the dough. You can get the pizza peel here. 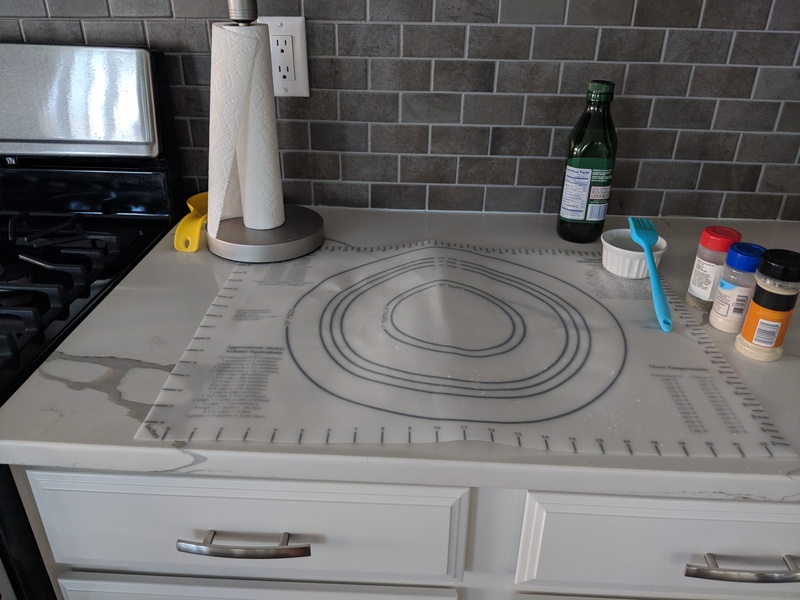 The other station is for preparing the pizzas. 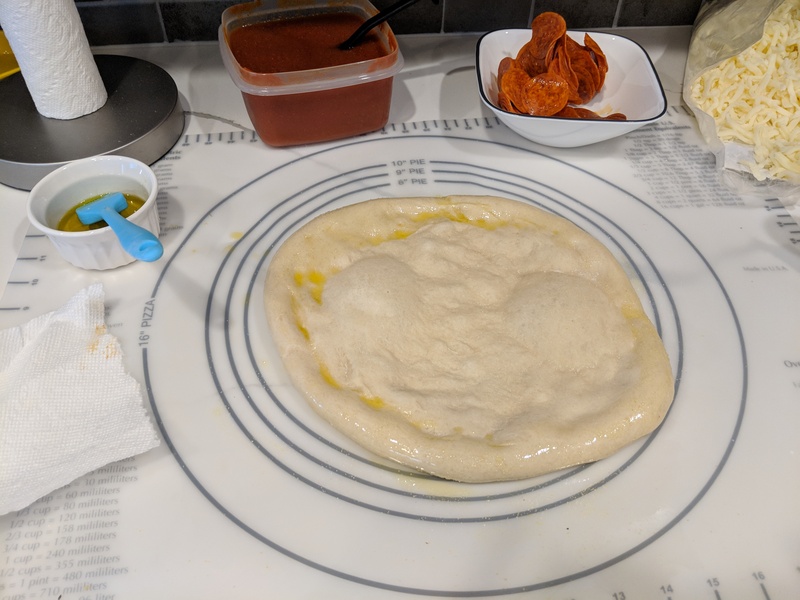 Once the dough has risen once, I separate it into 6 sections, one for each pizza. I wrap each section and let them rise again. 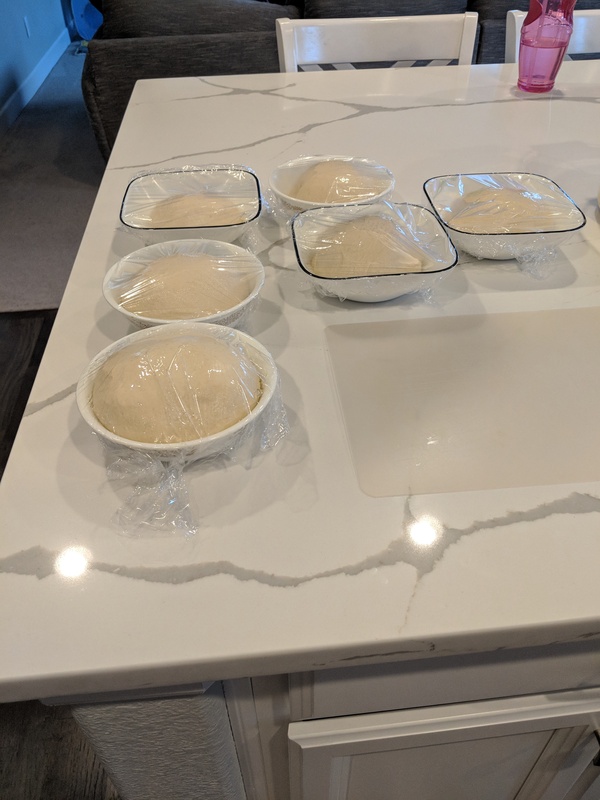 During the second rise, I get each station completely ready to go. 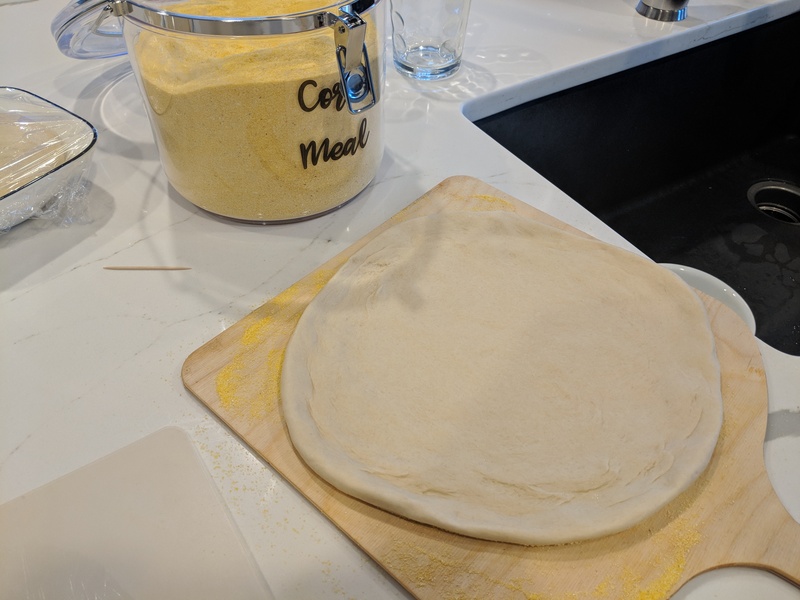 I put corn meal on the pizza board so the dough won’t stick to it. 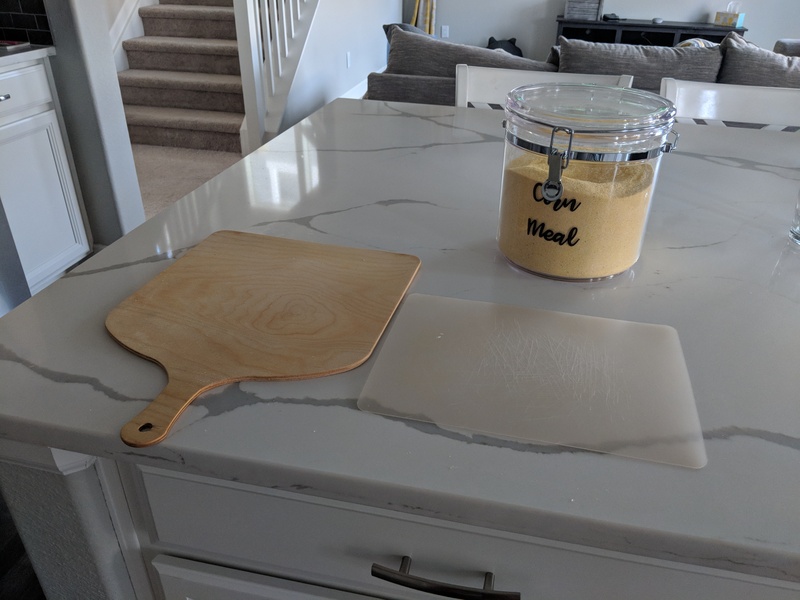 I also get all of the ingredients I’m going to put on the pizza out and I preheat the oven with the Pizza stone inside. 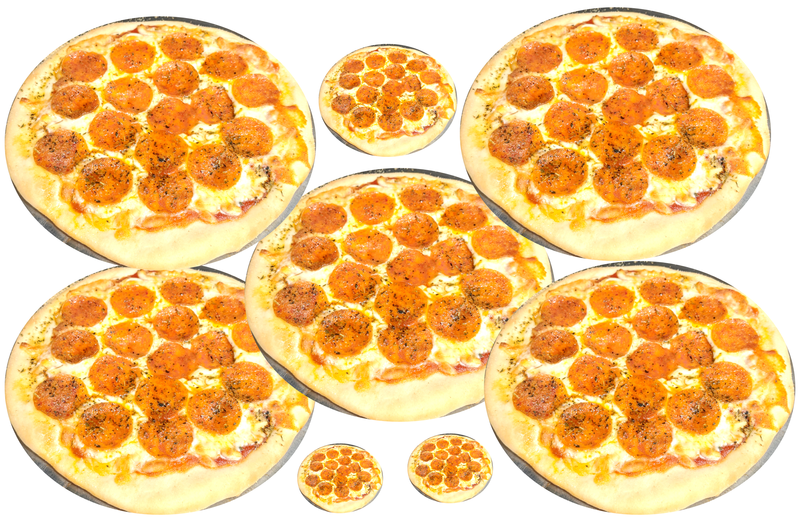 I form one ball of dough at a time into a pizza shape. I use Laura in the Kitchen’s method for this too which is found in the link above for the recipe. 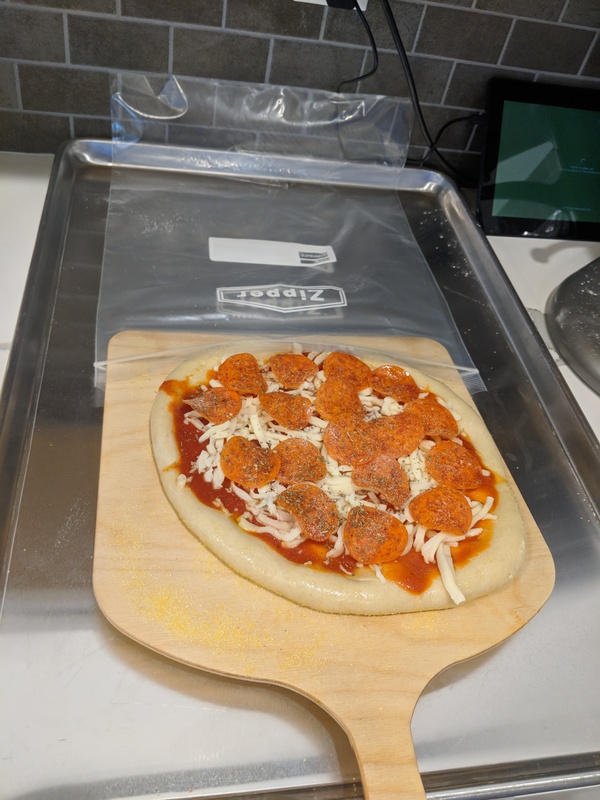 The Dough goes into the oven on the Pizza stone for about 5 minutes to partially cook it. 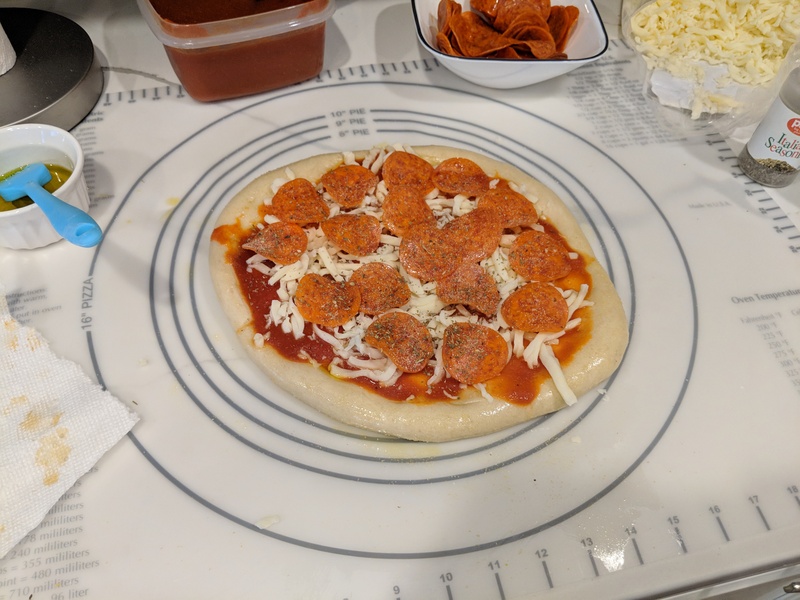 Next is adding the toppings to the pizza. This is where it’s helpful to have two people. One to get the dough into the pizza shape and in/out of the oven, the other to add the toppings. I start by applying olive oil to the outer edge of the pizza dough. I sprinkle the edge lightly with garlic salt. Then, I add the sauce. You can use any sauce you choose. I used my homemade sauce from the tomatoes in my garden. 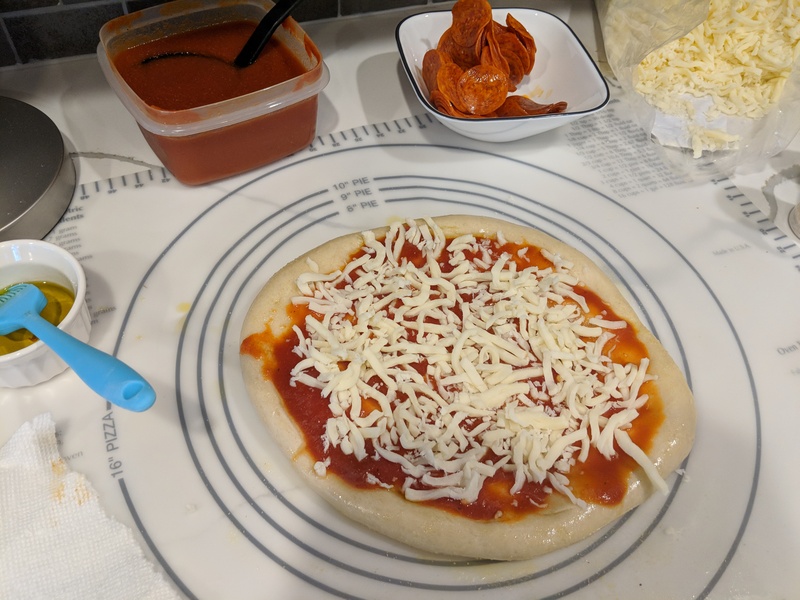 I added the sauce and cheese. Then, I added the pepperonis and usually I add olives too. But, since we love them so much, I didn’t have any for this pizza. I top it off with a bit of spices over the top of the whole pizza. I chose to use garlic salt, onion powder, and Italian seasoning. 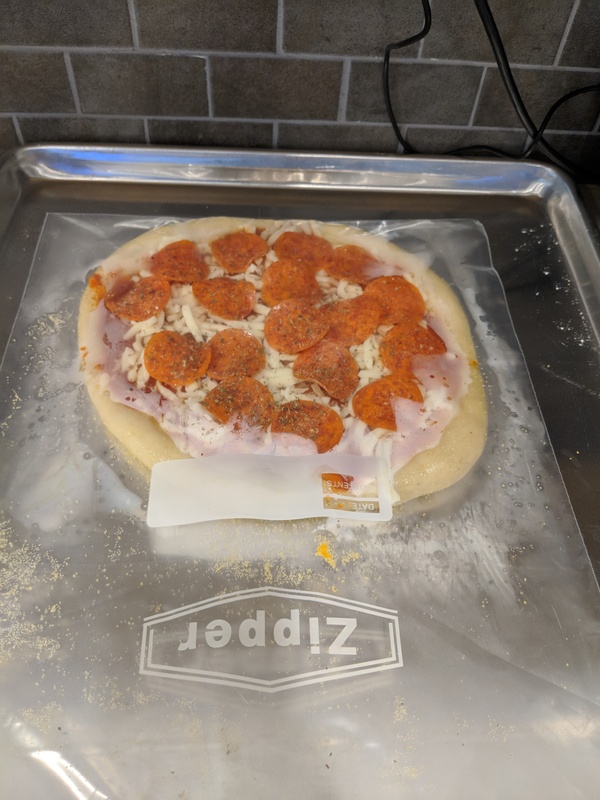 The pizza can then go into zipped bags and onto a flat surface in the freezer to freeze. Here’s a link to the huge zipped bags I use. 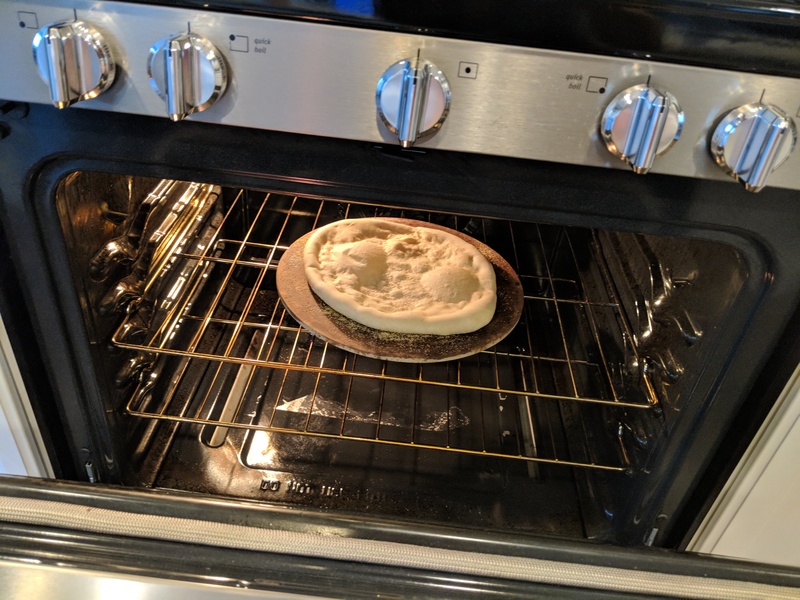 When I’m ready to make a pizza, I pull it out of the freezer and stick it in the oven on the pizza stone while the oven preheats to 425F. Cook until the crust is a golden color.